Proof that mobile technology solutions improve patient care and clinician workflow through point-of-care documentation is found at Jane Phillips Medical Center (JPMC). JPMC is providing their patients with the highest quality care by verifying medications and documenting interventions/assessments at the bedside using PatientSafe Solutions’ PatientTouch mobile solution and a bi-directional interface into their Cerner® PowerChart® system. 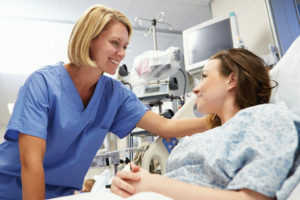 PatientSafe Solutions partners with Jane Phillips Medical Center to deliver a point-of-care platform for positive patient identification, clinical documentation, and barcode medication administration that is pocket-sized, easy to read, and intuitive to use.